3 Out of 4 Americans Support Term Limits. Here’s a Way Congress Could Establish Them. 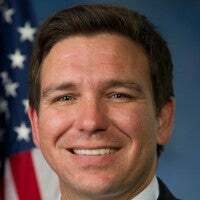 Ron DeSantis, a Republican, represents Florida's 6th District. Few political issues unite Americans more than congressional term limits. 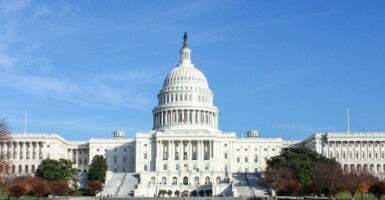 A Gallup poll from 2013 found that an astounding 75 percent of Americans—including huge majorities of Republicans, Democrats and independents—support limiting the number of terms that a member of Congress can serve. When American public opinion is this lopsided on an issue, one typically sees politicians scurrying to show themselves to be on the public’s side. This is not the case with term limits. The primary vehicle for term limits in Congress is H.J.Res. 14, which would amend the Constitution to limit House members to three terms and U.S. senators to two terms. Yet only a handful of members have joined the joint resolution’s author, Rep. Matt Salmon, R-Ariz., in cosponsoring it. Term limits don’t have traction in Congress because the wishes of the public are at odds with the self-interest of individual members of Congress. The primary reason politicians seek to curry favor with the public is so that they can perpetuate themselves in office; heeding the desires of the public becomes much less attractive if it means forcing them out of office. Twenty years after the Supreme Court, in a poorly reasoned 5-4 decision, stymied the movement to enact congressional term limits via state ballot initiatives, term limits advocates are stuck trying to convince two-thirds of the members in each house of Congress to pass an amendment to the Constitution which would effectively kick them out of office. Needless to say, this is not an easy task. If a member of Congress has spent, say, 10 years trying to move up the rung on an important committee with the hopes of one day becoming a committee chairman, how likely is it that the member will vote to short-circuit his own career for the sake of term limits? I am a cosponsor of Salmon’s term limits constitutional amendment and believe that it would benefit the country if enacted. Indeed, I believe that applying term limits to members currently in office would produce much-needed turnover inside the halls of Congress. At the same time, my short time in the House has convinced me that the term limits movement would benefit from a complementary approach, an approach that reconciles the self-interest of the officeholder with the public’s desire to see congressional term limits enacted. With this in mind, I have introduced a joint resolution that mimics the limitations on terms contained in Salmon’s resolution but also includes a grandfather provision so that the limits will take effect as future members of Congress take office. This way, a sitting member of Congress could vote to enact term limits while doing so in a way that would not end his career. Because terms limits are so popular, the interest of a member of Congress in staying in office would be congruent with supporting my term limits joint resolution. Under this approach, term limits would be gradually implemented on the federal level: As members of Congress retire and/or are defeated for reelection, succeeding members would be term limited. I agree that it would be better to apply the limits immediately to all members; at the same time, a gradual approach makes the likelihood of getting the requisite two-thirds votes in each house of Congress much higher. When he defended the Constitution in “The Federalist Papers,” James Madison asked, “What is government itself, but the greatest of all reflections on human nature?” Madison and his brethren designed the constitutional structure to harness human nature in a way that would secure individual liberty. My term limits proposal is a simple Madisonian reform designed to channel the self-interest of individual lawmakers towards serving the public good. The public’s persistent and overwhelming desire for term limits needs to be met, and this approach may very well be the best way to get it done.